at least that was me tonight. 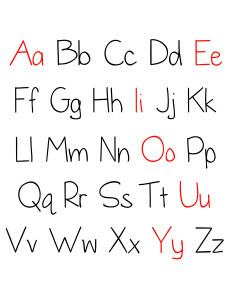 I stared at that alphabet and silently threatened it. “I will beat you,” I kept thinking to myself. It’s my own fault. 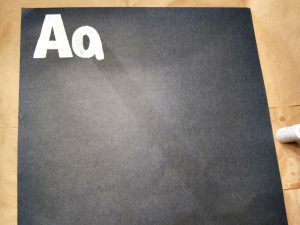 I waited till the night before we start our school year to try to make a new alphabet poster. So, maybe that is part of my frustration. Since most of our school supplies are going to be stored in our foster care bedroom, I want the decor to be some what educational but still really cool and fun. 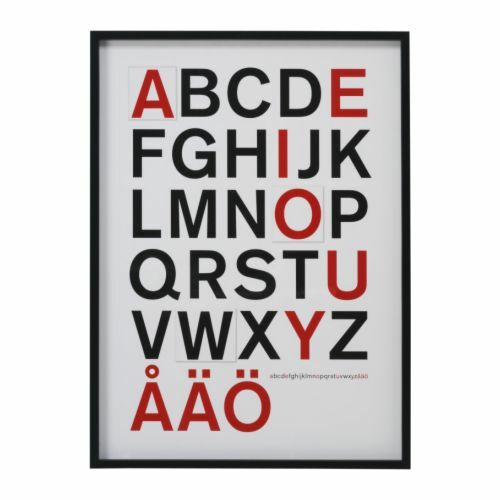 I saw this alphabet poster at Ikea earlier this summer, and I just loved it. I loved the simplicity and that the vowels were in red. The only thing was it’s a Danish alphabet and it doesn’t have the lower case letters, which are important to a new writer. So, I used it as my inspiration tonight to try to create my own. Attempts 1, 2, and 3 did not work. 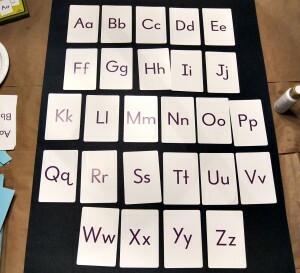 The stencil was too fat, the free hand was too ugly, and the cards were too “school room” type. I angrily stomped to the computer where I decided I would just google and buy a simple looking poster. I. Could. Not. Find. One. 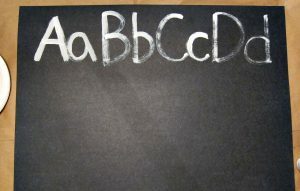 There were no cute, simple alphabet posters with the capital and lower case letters (with out cartoon images and letters being thrown all over the page in a twisted out-of-order way). I was stuck trying to figure this out. 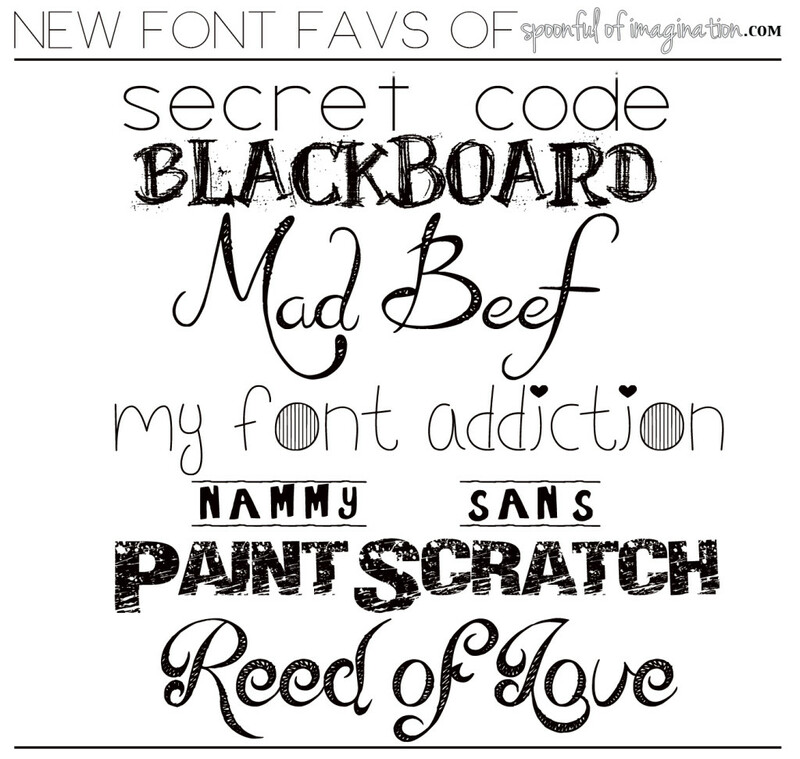 So, I browsed dafont.com and downloaded a whole bunch of new fonts. I am sure you will be seeing them in coming posts, but here are a few of my new favs, in case you want to download them too! I decided I would go with a font that I already had, and created this poster. Why did I have to make that when it’s such a simple idea!? I do not know, but now it’s out there. I am gonna blow this sucker up. Stick it in a frame. AND try to pretend this project did not hurt my crafter’s ego. Hopefully, this school prep project is not a foretelling sign of our school year! HA HA HA that is great! Looks so cute. 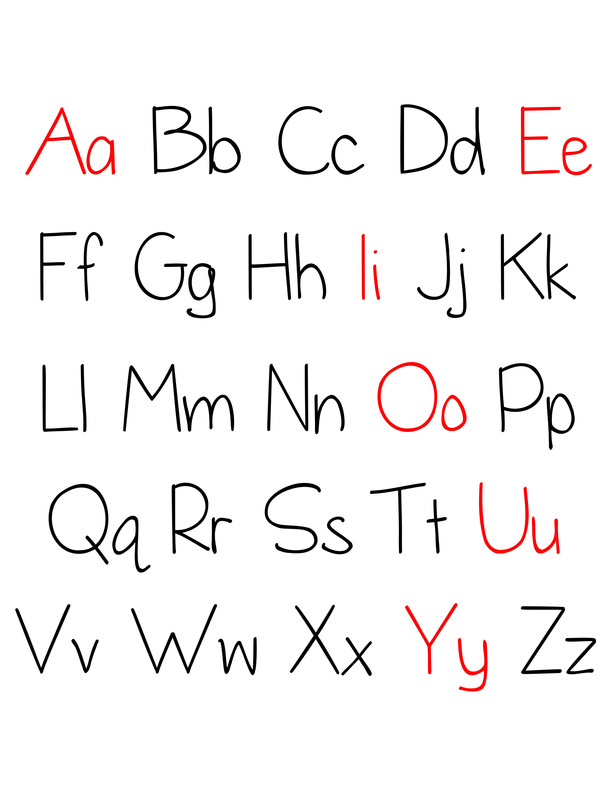 Matthews preschool taught only lowercase first because they said that kids see more lowercase than uppercase letters therefor the learn the lower case letters faster. Makes Sense! Thank you! 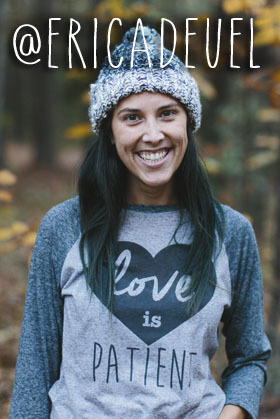 GREAT point Kelley! Very cute! Don’t you hate it when things don’t work out in real life how you see them in your head? So frustrating! But I think your poster will be perfect when you have it printed! Thanks Erin! I hope so! I’m already debating changing the font again 🙂 oh the life of a DIY-er! © 2019 Spoonful of Imagination, Inc.